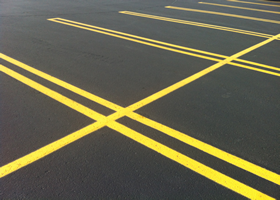 Diamond Road provides Redesign Paver throughout the United States through our rental program. The Redesign Paver is scheduled to be completed in 2017. • The Redesign Paver heats and scarifies at the same time until it reaches the desired recycling depth. 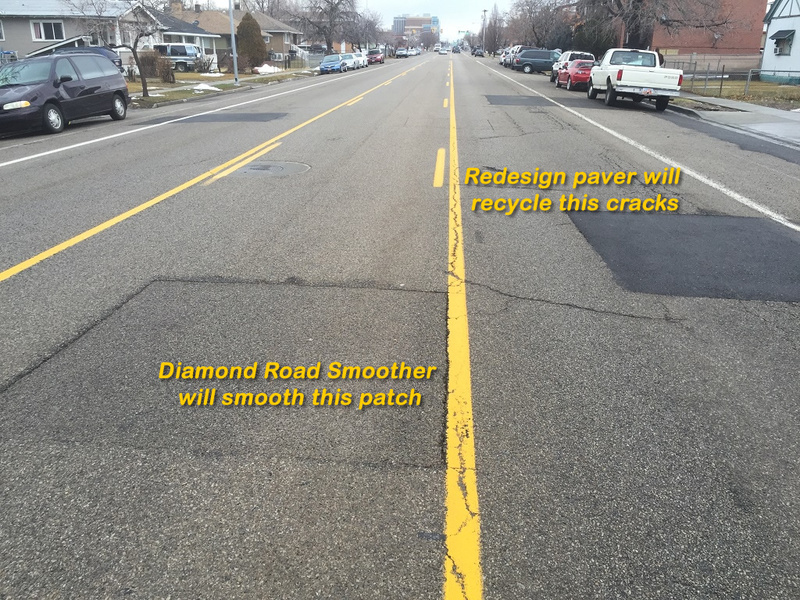 • The Redesign Paver screed is positioned in between two very long averaging arms (about 22 feet). Providing a smooth patch. 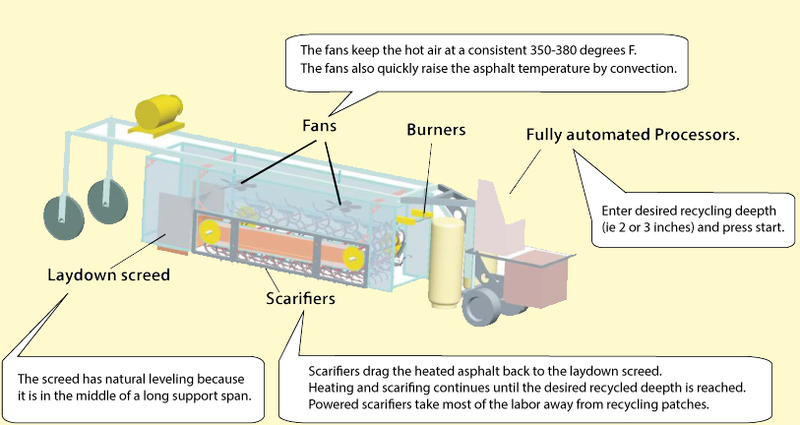 • The heat is very precisely controlled. • The Redesign Paver has large fans that allow us to bring the surface up to the proper temperature rather quickly. • The Redesign Paver has scarifiers inside that move the material once it’s warmed toward the back. 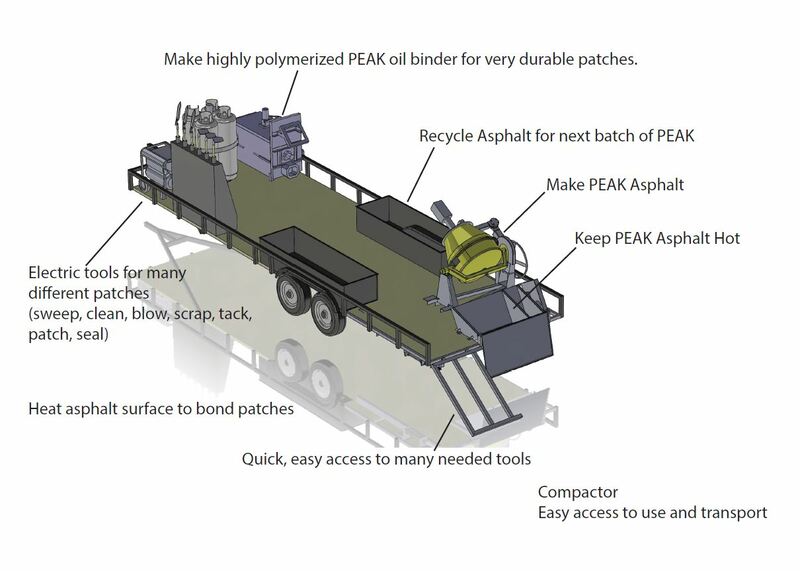 • The Redesign Paver has many sensors that help control its automatics. • The Redesign Paver allows the addition of recycled asphalt to be placed in front of Redesign Paver to bring it to level. 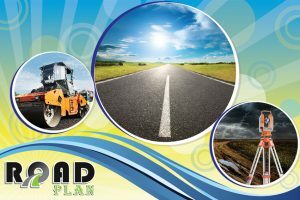 • The rejuvenating oil supplied by Diamond Road for the Redesign Paver is specially formulated for recycling. 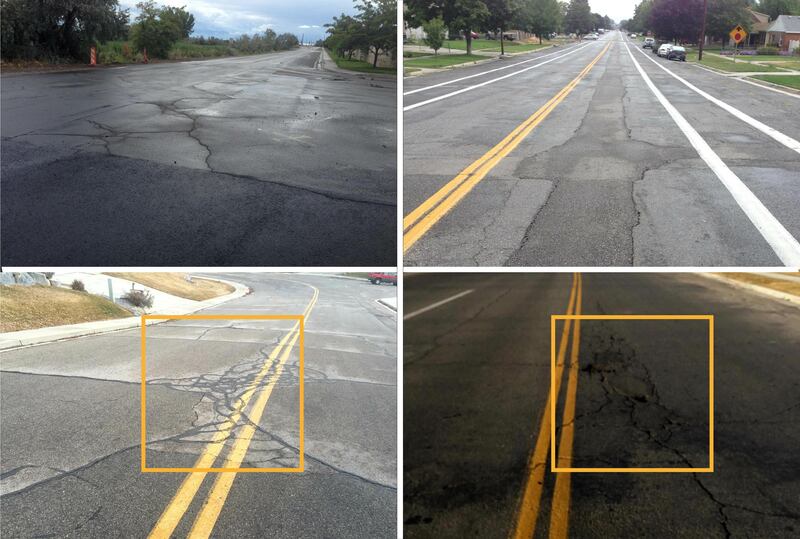 It is rubberized, and it is 100% oil and asphalt.